It took three years of adventures after college—including stints as a ski instructor, barista and a commercial chemist—before Andrew Popchock knew that he wanted to return to the lab to pursue a PhD at OSU’s Department of Biochemistry and Biophysics. Andrew’s research takes place at Dr. Weihong Qiu’s Single-Molecule Biophysics Laboratory and focuses on kinesin-14s—motor proteins found in eukaryotic cells. 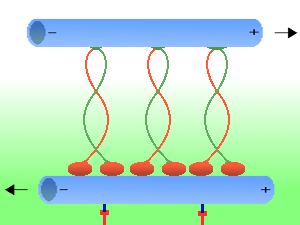 These motor proteins in cells travel along microtubules to create and maintain the mitotic spindle, which are macromolecular structures that are responsible for chromosome segregation during cell division. By using an imaging technique called TIRF microscopy, a team of researchers from Dr. Qiu’s lab discovered that a kinesin-14 found in fungus cells called KlpA can change direction along its cytoskeleton tracks. KlpA is the first motor protein of its kind that researchers have discovered that demonstrates this type of bidirectional movement. The results of their study were recently published in Nature Communications. The motor protein that Andrew studies could be important in helping researchers understand cancer growth. This could have implications for drug treatment therapy, potentially guiding the creation of motor protein-based molecular devices for more controlled drug delivery in cancer treatments. Growing up, Andrew was interested in physics and biology, but it wasn’t until he worked in a lab under the direction of a graduate student at Washington State University that he began to consider graduate studies. 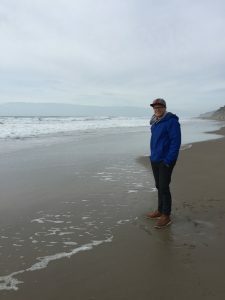 While working as a chemist in Idaho, he realized that he quickly reached the limit of his creative capacity and that returning to a laboratory as a graduate student at OSU would help him continue to develop his skills as a researcher. To learn more about Andrew’s research and his path to graduate school, tune in to hear our conversation on Sunday, May 14th at 7:00 pm on 88.7 FM KBVR Corvallis or listen live online. This entry was posted in Biochemistry and Biophysics on 2017-05-13 by Mackenzie Smith.